The title of this post was taken from a group of would be knitters who never seem to be able to finish a project. So instead, they adorn the world’s car antennas, telephone poles, and what have you with their sweater sleeves of good intention. The most hilarious thing about this group are their Knittin’ in the Hood monikers. 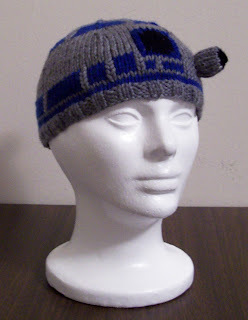 While perusing this little site I came across yet another amazing knitting pattern. Oh yes. I am totally making this. 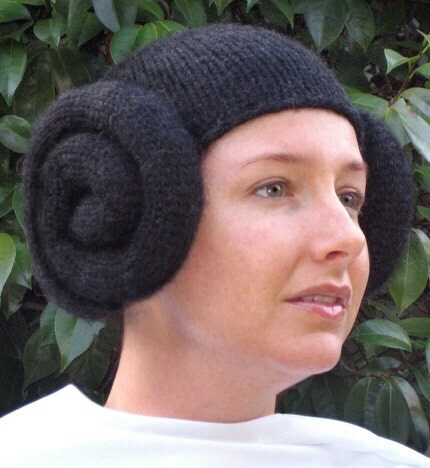 Soon I will have a complete Star Wars collection made entirely of yarn! For those of you who did not see my previous post on this, I have included the other amazing pattern I found as well. Check out the sweetness! Hopefully the knitting lessons will help me to accomplish these two feats of spun glory. Maybe if I am lucky the instructor will have me wear a face shield and make me purl with the force! Obi Wan can only hope.